Meet the animals who have shaped London's history in this immersive digital installation. Experience London's beastly history as told by the animals themselves. Meet the animals who have shaped London's history. Step into a tour through London’s history, narrated by the animals who once lived here. 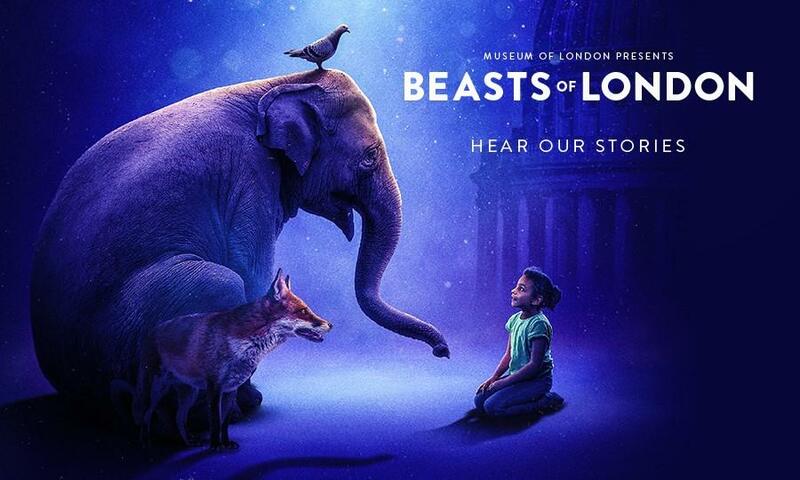 Beasts of London explores the fascinating role animals have played in shaping the capital. Be guided through time, from the Roman era through Medieval London and right up to present day, narrated by the beasts themselves. Discover how animals – from lions and elephants, to horses, rats and pigeons - have shaped the city and its beastly history. Voicing these animals are a host of household names. Kate Moss Brian Blessed, Pam Ferris, Nish Kumar, Stephen Mangan, Angellica Bell and Joe Pasquale will be voicing some of the animals who once roamed this city. Inspired by objects in our collection and created in partnership with Guildhall School of Music & Drama, Beasts of London is a fully immersive digital installation using video projection mapping.